Reasons to Join Stampin' Up! A few days after school released for winter holiday, I designed this bright birthday card to share with fellow demonstrators in a Rising Stars swap. The stamp set comes from the Sale-A-Bration 2015 catalog, which can be YOURS for any purchase of $50 (before shipping/tax fees). I colored the celebrate banner with a Daffodil Delight marker and covered it with the clear Dazzling Details. I also colored the word "cake" with Daffodil Delight and Gold Glitz Dazzling Details. Cardstock colors are Whisper White, Basic Black, Basic Gray, and Daffodil Delight. I stamped the greeting with basic Black ink and cut the shape with a 2 1/2" circle punch. Big Shot products used on this project include Large Polka Dot and Perfect Polka Dots textured impressions embossing folders and Deco Labels Collection of framelits. Pearl Basic jewels were the final layer to my swap card. These cards were assembled quickly. I finished 24 cards in only one evening because this card was pretty easy to create. I should receive my cards in a couple weeks, so stay tuned for the results and a great sampling of lots of fabulous products in the 2015 Occasions and Sale-A-Bration catalogs. You are going to LOVE them! In honor of our nation's birthday, I decided to share the birthday themed swap cards I received from the demonstrator swap. Lynette Alvarez created this card using the Moonlight double sided design pack of designer series paper. She also used Blackberry Bliss and Hello Honey cardstock, an oval punch, rhinestone, and stamps from the Cupcake Party set. Julie Skotzke created this birthday card using stamps from the So Very Happy stamp set, Blackberry Bliss, Basic Black, and Whisper White, and Hello Honey cardstock, buttons, linen thread, and Dazzling Details. My favorite parts of this card are the double punched flowers and the outlined and watercolored look of the inside of the flower. Carolyn Serviss created the Hoo-Ray Card using the Be the Star stamp set, designer series paper from the Moonlight set, glitter paper, baker's twine, and sequins. These cards were fun to receive in the mail. I will upload and share the others soon. I have shared card swap projects before, but I wanted to make sure any new readers are aware of what this means and the process. First, I receive an email invitation to join a card swap. You can join card swaps through a website like Split Coast Stampers or other scrapbook/stamp gallery websites. The invitation for this card swap was generated by Stampin' Up! demonstrators who have earned the title of Rising Star for running a successful, balanced business during their first full year with Stampin' Up! You will receive two deadlines. The first deadline is when enrollment will end. The second deadline is when the cards should be received by the card swap hostess. This means that you should mail the swap card projects at least 4-5 days prior to the deadline to receive. The next number you receive is the total of cards (final count) you must create for the card swap. This number is emailed to all participants who have registered for the card swap. There are also guidelines for card swaps. The guidelines are sent with the first invitation, so everyone understands the guidelines before deciding to participate. For example, if you will be out of town for a week before the deadline, you might not have time to meet the it. Do not join. If you don't like the guidelines, don't join the card swap. You want to use proper etiquette and consider all participants before you agree to participate. -All supplies/products must be current Stampin' Up! catalog merchandise. NO exceptions. No retired, dormant or non-SU! product. -Card fronts only for swaps unless you are doing something that requires a full card - ie. fancy folds, cut-outs, pockets, etc. -Please use layering and accessories. -Please do your very best work, clean cuts, straight layers, evenly stamped solid images. -All your cards must be labeled on the back with your name! No recipe is required, however you may provide it if preferred. -All swaps MUST be in a clear envelope, ready to display upon receipt. I will not provide envelopes for swaps received without them. All Swaps in a clear gallon Ziploc bag with your name on the outside. PLEASE use ONE Single GALLON bag for your swaps. Your own swaps may fit in quart bags, but return swap cards may not. $7.00 to cover return Priority Mail. Please do NOT send stamps or postage paid envelopes. Swaps are due by noon on Tuesday, June 24th. NO exceptions! Once you read the guidelines and know the final total count, the fun begins! When I accepted this swap, I didn't have many items from the new catalog, so I had to allow time to receive the order from Stampin' Up! in Utah. Once I received the supplies, I began creating variations and pieces for the card until I decided the design I wanted to create. I gathered the supplies and placed them in a basket that was mobile because I like to create everywhere. I have worked on craft projects in boring places like a doctor's waiting room, the school car pool line, a road trip (as the passenger, of course! ), and at home on the couch while watching a favorite TV show or movie. I hope you enjoyed today's project. There is more to come, and I can't wait to share the finished card swaps when they arrive. Paper Pumpkin has officially turned ONE YEAR OLD! Stampin' Up! hosted a party to celebrate the success and new interest this program has brought to new stampers and crafters across the country. For someone new to crafting who is looking for a quick and easy project, this kit is perfect. You can order paid gift subscriptions to give as gifts to family, friends, co-workers, and neighbors. New mothers would love to receive something quick and easy they can create during naptime. High school graduates would love a quick craft to create with their new dorm friends. Let's face it, Paper Pumpkin is here to stay! HAPPY BIRTHDAY! CLICK HERE if you would like to order this great product or to learn more. I still can't believe the barely 3lb. baby we visited in the hospital, six weeks before her due date, has turned SIXTEEN! Our sweet Jayce went from barely breathing by herself to a beautiful, intelligent, young woman. To celebrate her birthday, Jayce asked for a newly decorated bedroom. 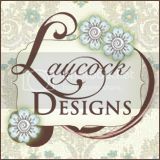 Her theme is cheetah print, so I created this banner for her to hang on the mirror of her new dresser. Stay tuned for what I designed for the wall abover her bed. This bedroom will defintely be personalized! Now that summer is here, I am living the life I've imagined. Stamp, stamp, and more stamp time! The new catalog items are available for ordering on June 1! I used a brand new textured impressions embossing folder and stamp set to create this swap card. This catalog is going to be more than you imagined! It offers great tutorials, creative project ideas and inspiration, and a great display of quality Stampin' Up! products we all love so much! One of my favorite products appears on page 184 of the new catalog with the Big Shot tools. I will leave you with the mystery of discovering the name of the stamp set, embossing folder, and new Big Shot product to locate when you receive your new catalog! You are sure to love it! If you want to order online, CLICK HERE to go straight to my website and choose me as your demonstrator. Jayce plans ot celebrate her birthday all week, weekend, and during next week's spring break. She is SO anxious to get her learning permit and license! In honor of her birthday and excitement, I created this cute tag for her special birthday gift. It has become our tradition to give Jayce a shirt with her school name, mascot, and year in school. When she graduated from eighth grade, she received a "freshmen" Tshirt, and now it is time for her to prepare for become a sophomore. We spent the afternoon playing the game, Guesstures, and laughing at the creativity and cleverness of our family. It was fun to watch Hayden make up his own rules, reward himself, and dance and sing to his own happy tune. This afternoon proved you don't need electronics or media to have great entertainment! Stamping is my favorite way to spend an evening! Join me in a craft night sometime! Don't wait until the last minute to create a special treat for a friend or family emmber. Make those cards now! I plan to go "card crazy" over spring break in a couple weeks! This weekend was a special occasion to celebrate fifteen years with my niece, Jayce. Her favorite colors are pink and purple, so I thought she might enjoy a pretty, pink, personalized card from us. I used the crown image (You Rule stamp set) stamped in Pretty in Pink ink as a background on Very Vanilla cardstock. The greeting was stamped in black ink with the Memorable Moments stamp set. I also stamped the envelope with the Sale A Bration stamp set, Vintage Verses. If you haven't ordered your Sale-A-Bration sets and treats yet, what are you waiting for???? Please call me or order online today. Stampin' Up! is buzzing with BRAND NEW products to kick off the new year with style! As part of the Stampin' Up! 25-year anniversary celebration, they're bringing back some of our favorite stamp images from the last quarter century and combining them into 12 sets. Each month a new themed set will be released! In addition to the classic designs, there will also include one never-before-seen image! * All "Best of" stamp sets will include 3-5 images, including a never-before-seen image, and will be priced at $14.95. *While Stampin' Up! is releasing just one "Best of" stamp set per month (with a new theme each month), ALL of the "Best of" sets will be available for purchase until March 31, 2014. *A new flyer will be released each month to announce each "Best of" stamp set. *All "Best of" stamp sets are available in Clear-Mount only. CLICK HERE to view the "Best of 25 Years January Birthday Set" flyer. EARN A FREE STAMP SET!!! As a special incentive to collect the "Best of" stamp sets, Stampin' Up! is offering the following treat for you! * Starting in February, Stampin' Up! will include a collector's card and 25-year prrof of purchase sticker with every "Best of" set. *Send in the collector card with stickers to redeem a FREE set of your choice, valued up to $14.95. * Free sets must be redeemed no later than April 30, 2014. CLICK HERE to view the Collector's Card. There is MUCH MORE TO SHARE, so stay tuned for my daily announcements. If you just can't wait, CLICK HERE to head straight to my online store to see it all for yourself and to place an order! I can tell this is going to be a great year! You are going to love it!!!! The first stamp to WOW me in the Spring Catalog was the Swallowtail image. I HAD TO HAVE IT! I wasn't sure how I would use the large image on a card, but I made it work on this design. Basic Gray and Daffodil Delight were my inspiration colors. Adding a pop of white with the BRAND NEW Paper Doilies added feminine charm. Have you noticed my LOVE of embossing folders? I HAD TO HAVE the Honeycomb folder! I am using it all the time! I enjoy mixing and matching texture designs, so I embossed the Apothecary Framelits die with the Perfect Polka Dots design. The card was completed with the FRIEND greeting from the Amazing Family stamp set.